If you’re a fan of Marvel, DC, or anything comic related then you are certain to love this mod. It adds in different superheroes that you can interact with including the Hulk, Superman, Spiderman and more. Furthermore, it adds in some boss mobs that you have to fight! This mod is all about having fun whilst challenging your skills! So why not download it today and enjoy all of the pleasures of Marvel right inside your Minecraft game. 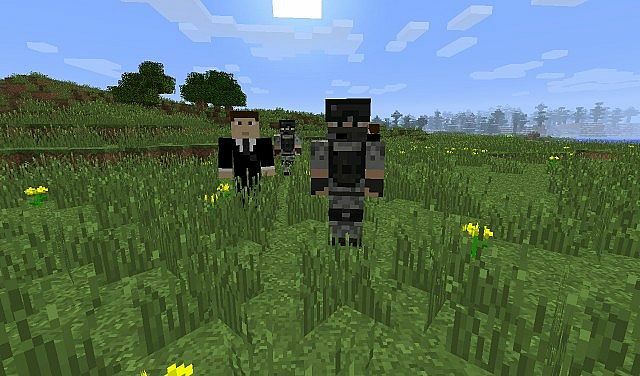 There is no real way to use the MarvelCraft Mod you first of all need to download it with Minecraft Forge and then you can load up your latest save game. When loading all of the mods features should be automatically enabled. 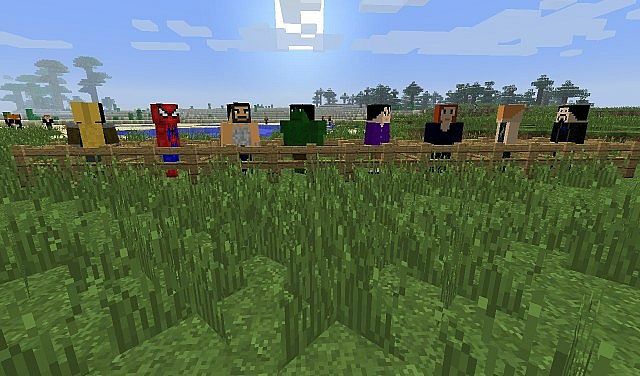 This mod adds in lots of well known superheroes into Minecraft. Spiderman, Superman, Baine, Wolverine, the Hulk and so many more make an appearance. They also all have unique abilities and characteristics. Adds in a Agent of S.H.I.E.L.D and also a solider too. Iron man, the Winter Soldier, Red Skull, Magneto and more. Adds in some awesome boss mobs that you have to battle, including Loki! Next, download the MarvelCraft Mod and drag and drop the .zip files to your desktop.